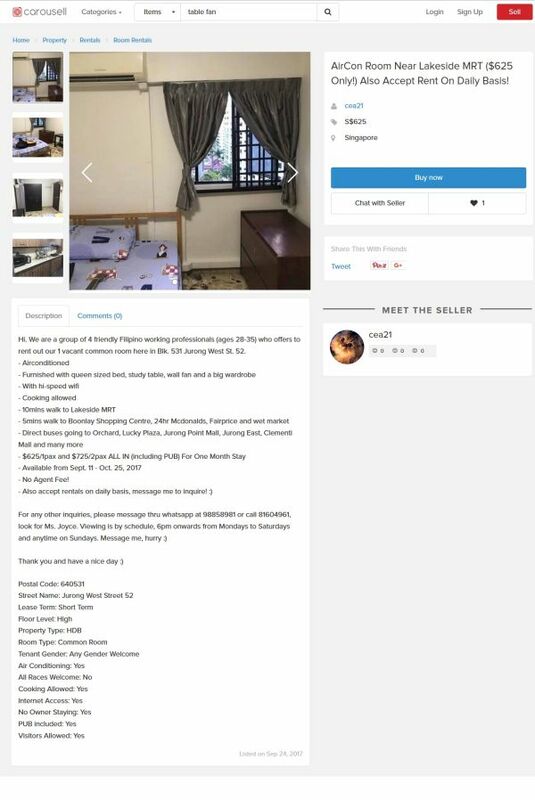 Singapore news today | ILLEGAL SHORT TERM HDB ROOM RENTAL EXPOSED! WILL HDB DO ANYTHING ABOUT THIS? Pinoy so daring nowadays....openly advertise HDB room rental on either daily or for 1 month to their kabayans......Jurong West St 52 Blk 531....HDB subletting rule is no less than 6 month. This post first appeared on a popular local forum.